Cooking outdoors seems to appeal to many people who claim that a simple job like boiling water in a kitchen is one step too far. 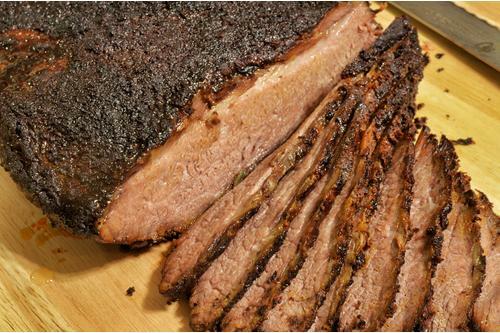 A smoker combines heat and water to slowly cook food as it absorbs hickory, mesquite or other smoky flavors. Anyone who is fortunate enough to have someone who enjoys cooking outdoors can take a break and enjoy smoked chicken, beef, fish, sausages, pork and vegetables. 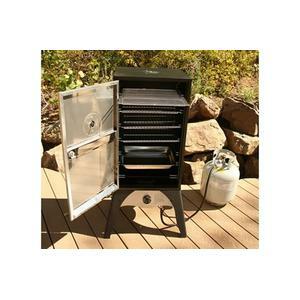 The Camp Chef Smoke Vault Propane Box HD Steel and Stainless Door Smoker is a versatile unit that is easy to use. But given its reasonably affordable price tag, does it offer enough value to be considered as your next investment? Scroll down through this outdoor oven review and you’ll soon have a better idea. How Good is Camp Chef Smoke Vault Really? When you conduct a smoke oven review, you can find features that make units appealing. Some of the most important issues to evaluate are capacity, heat control, and smoke generation. A system that requires simple operation is likely to get more use than one that is complicated. After all, using a smoker is a lot like using a grill except that it takes longer and the fire is not where you can see it. 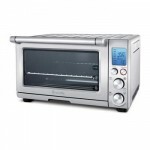 The best smoke oven gives you the features that you like for a price that you want to pay. Features are Important, so does $$$ Savings! 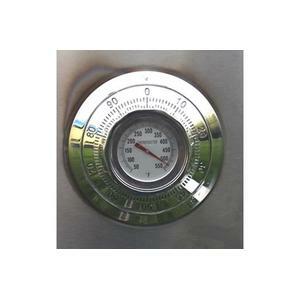 The amount of propane needed to power the unit is minimal, a savings when you plan to prepare a large quantity of food. Some smokers claim to last for eight hours without needing more fuel, but this unit can exceed that amount by a few hours. Small chunks of wood in the heavy gauge steel wood chip tray work better than chips, especially when you are cooking meat such as pork or beef brisket that require a long cooking time. 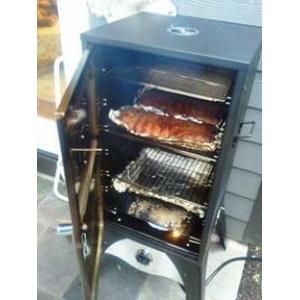 Some propane smokers produce heat at levels that are too high for slow cooking, but this unit lets you control the heat as low as 150 degrees F. The dampers let you manage the burner level at a typical 225 degrees F for ribs and chicken with no problem. You may need to use a wireless oven thermometer that has a probe to confirm the internal temperature in the oven as well as the meats that you cook to back up the readings on the unit’s thermometer. Considering points like these is important when you evaluate the results of your smoke oven review. 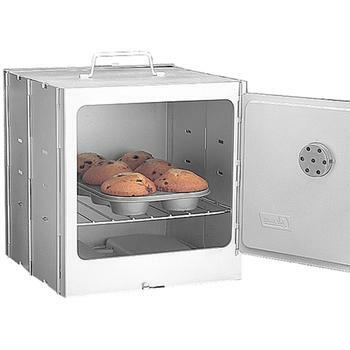 The smoke vault retains heat in stored food at the temperature that you set, but cold temperatures outside can affect it. To maintain the environment that produces the best results, you have to make sure that the water pan has enough water and add more chunks of wood every few hours. 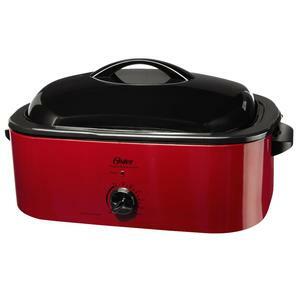 The capacity is large enough to let you smoke a chickens, pork loins and shrimp for a dinner party and to have all of them perfectly cooked at the same time. A removable porcelain tray is included to catch drippings, and it provides a convenient way to clean up when you finish cooking. The water tray catches some of the drippings as well, but you may not find it objectionable. 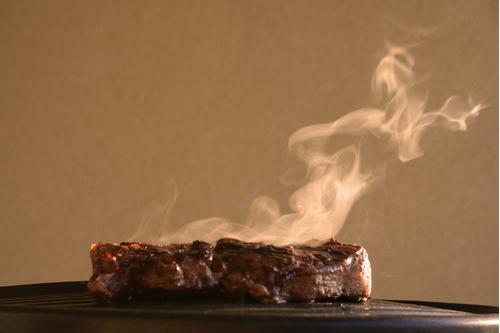 Fats dissolve in the water that creates the smoke, and it adds flavor as it hydrates the meats. Some features that you want in the best smoke oven for your purposes may include a better thermometer or a deeper wood chip tray. 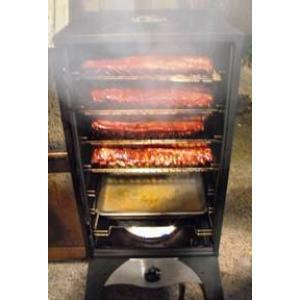 The vents do not always close completely, but they work effectively enough to produce a generous and steady amount of smoke to thoroughly cook the meats that you plan to serve. 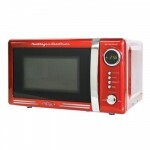 The unit is easy to use and it performs well without any complications. Maintaining a set temperature, providing plenty of space, using propane economically and keeping food warm in the storage vault are qualities that make the Camp Chef a good choice for your smoking needs. This smoke oven review is not designed to be your judge or decide for you. Instead, it is designed to shed some light into the discussion and help you fill up your score card. Eventually, you are still the best person to make the decision. It has to be considered against not only its alternatives, but also your usage pattern and specific preference. 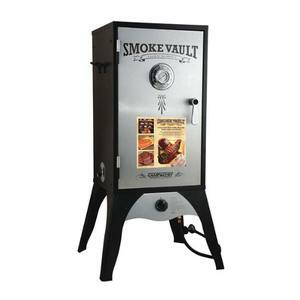 So, while many have found Camp Chef Smoke Vault to be a great smoke oven, do you think likewise? Is Camp Chef the Italian Artist We Need to Make Great Pizza? Are You a Serious Camper? 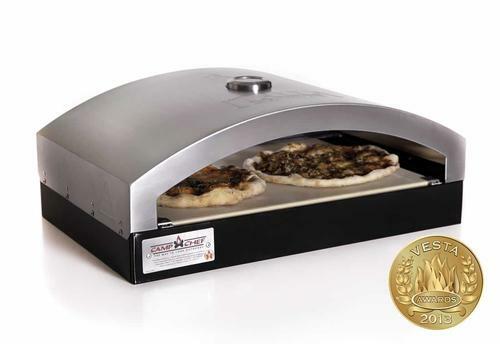 Coleman Camp Oven is what You Need EcoQue ECO-71008: It’s a Pizza and Smoke Oven Combined as One Does Oster CKSTROSMK18 Make a Good Smoke Roaster Oven?